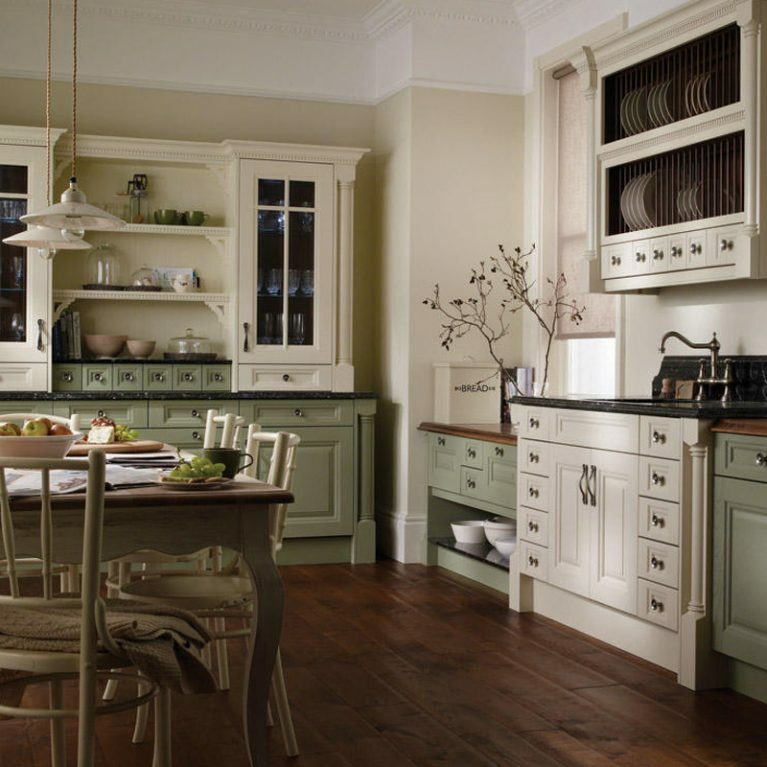 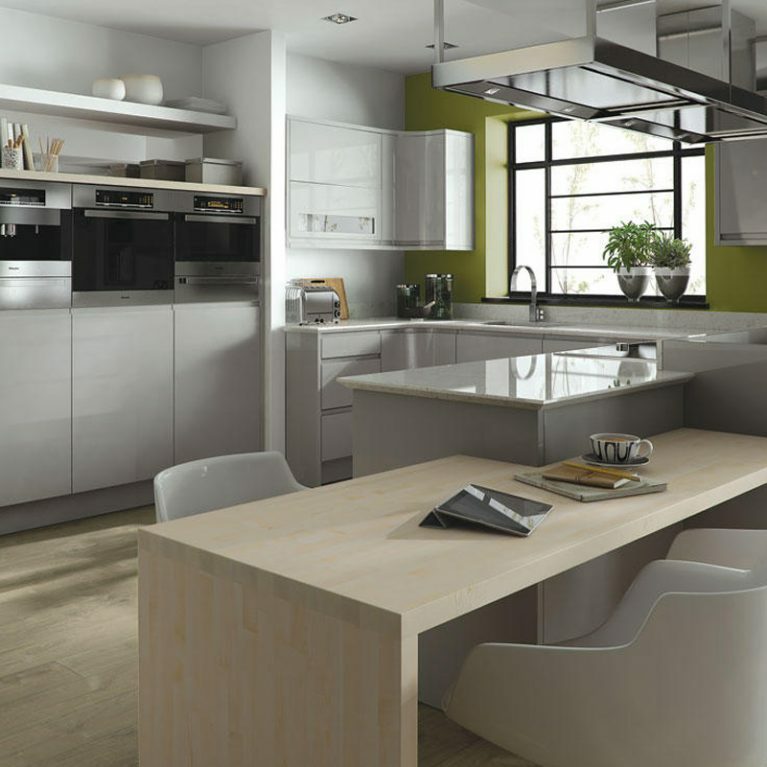 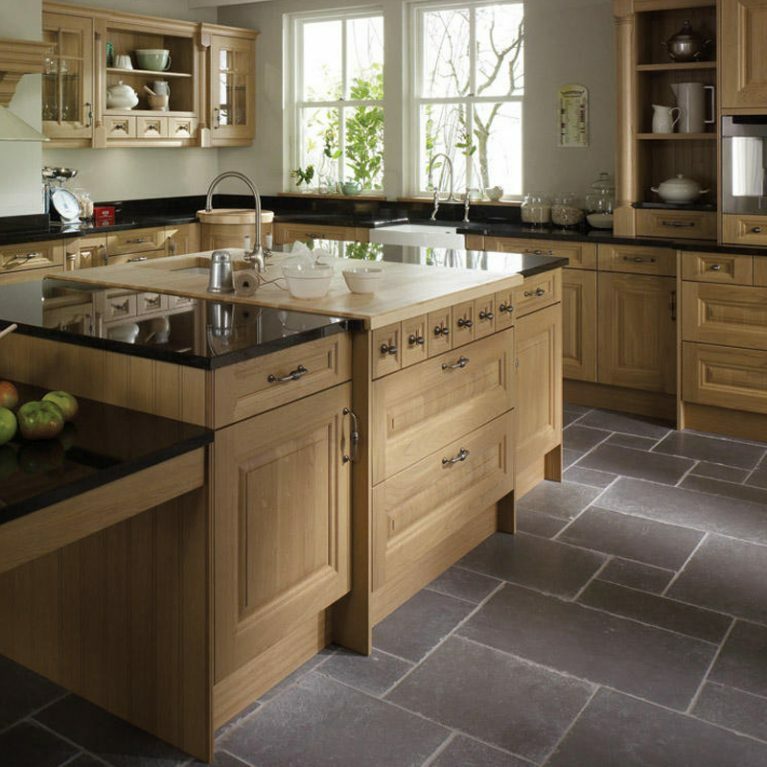 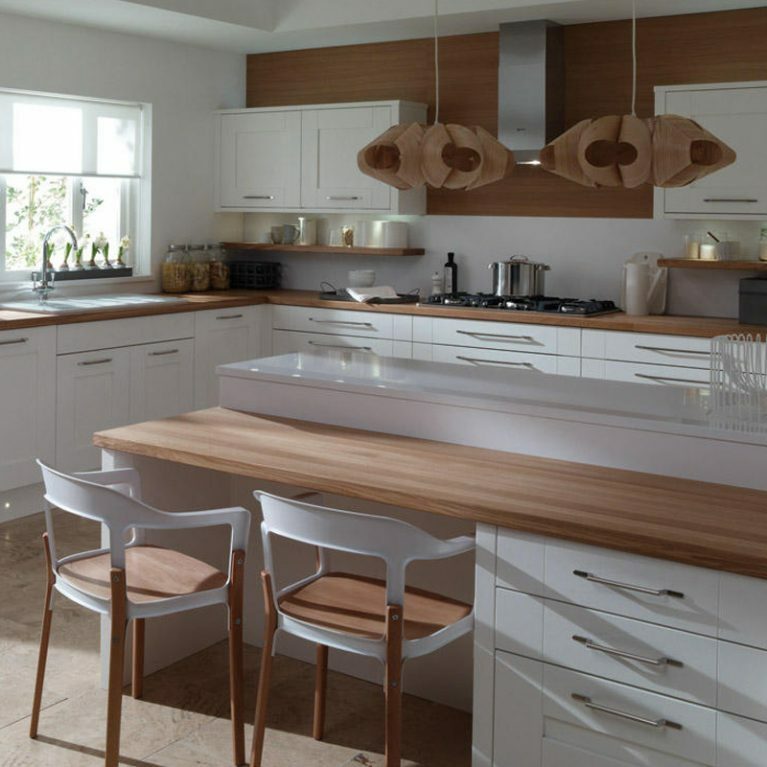 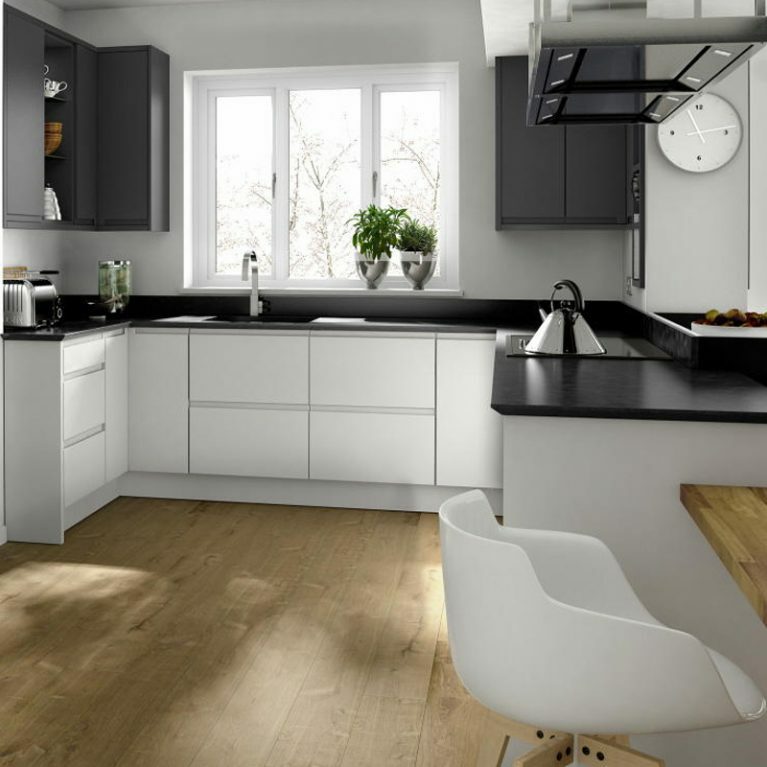 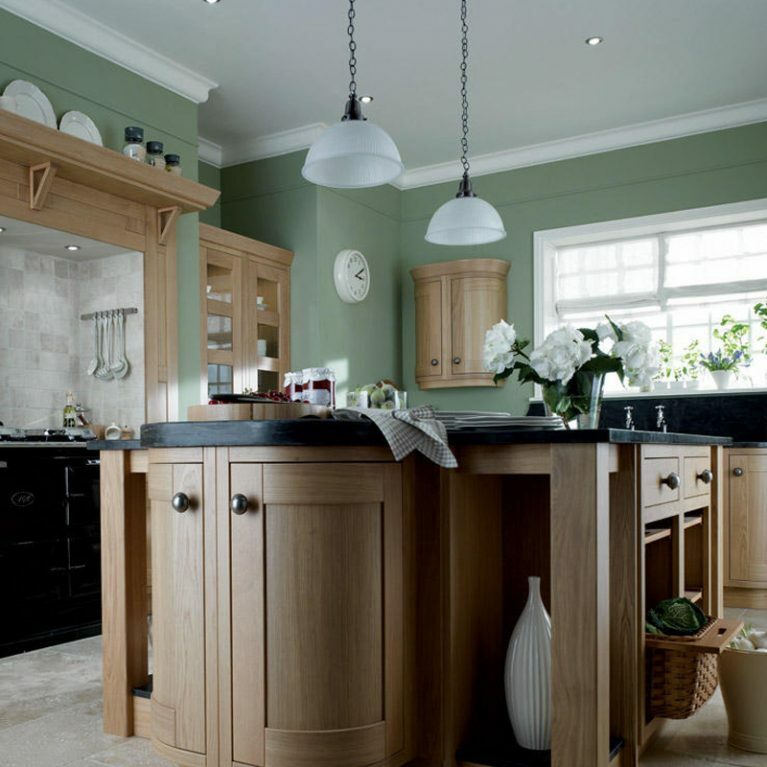 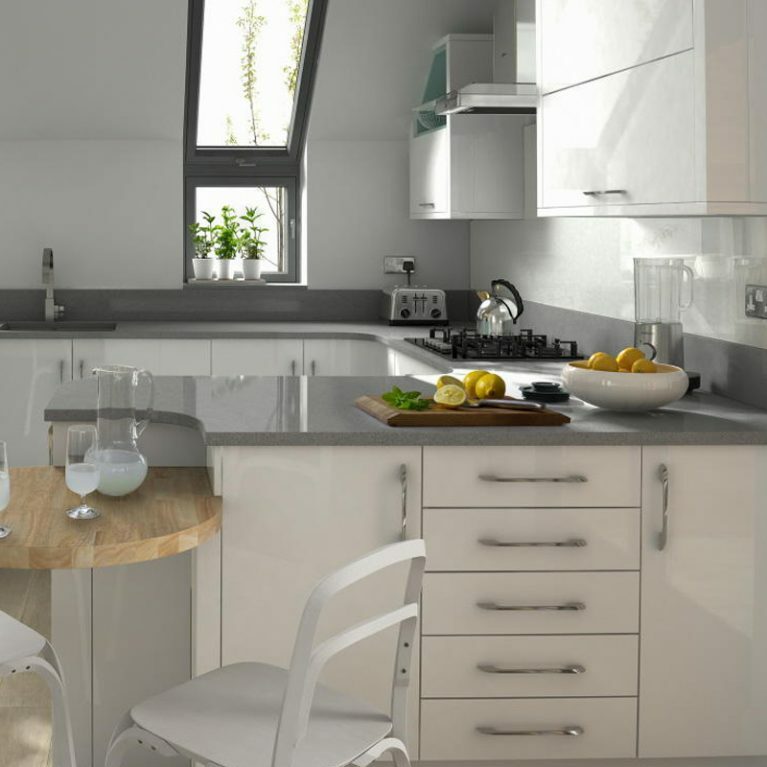 Shaker kitchens are some of the most practical kitchen designs available on the market today. 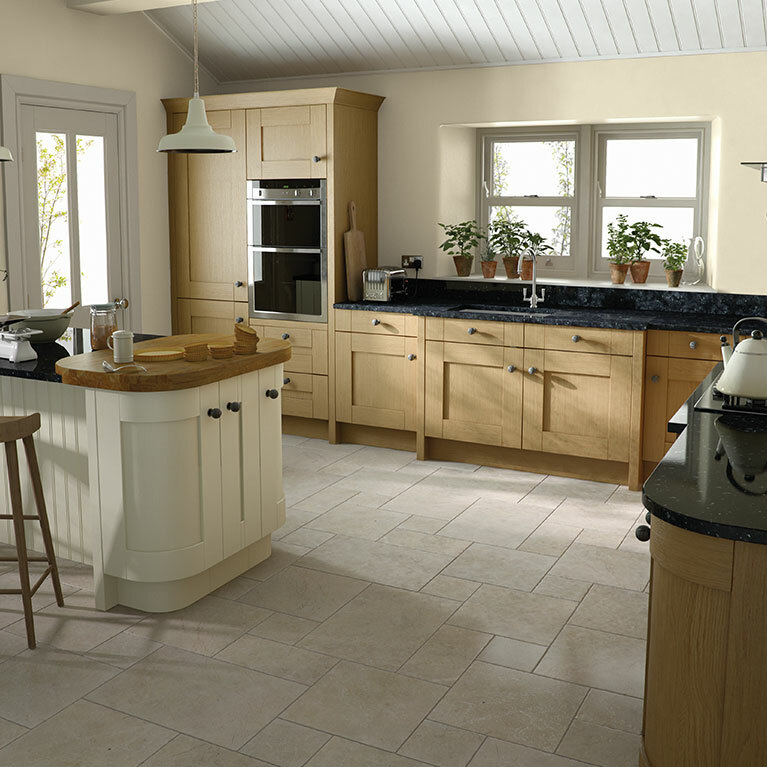 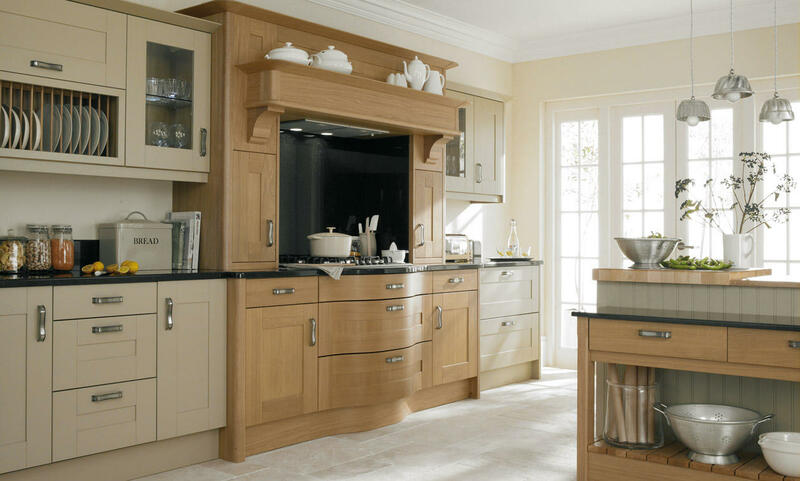 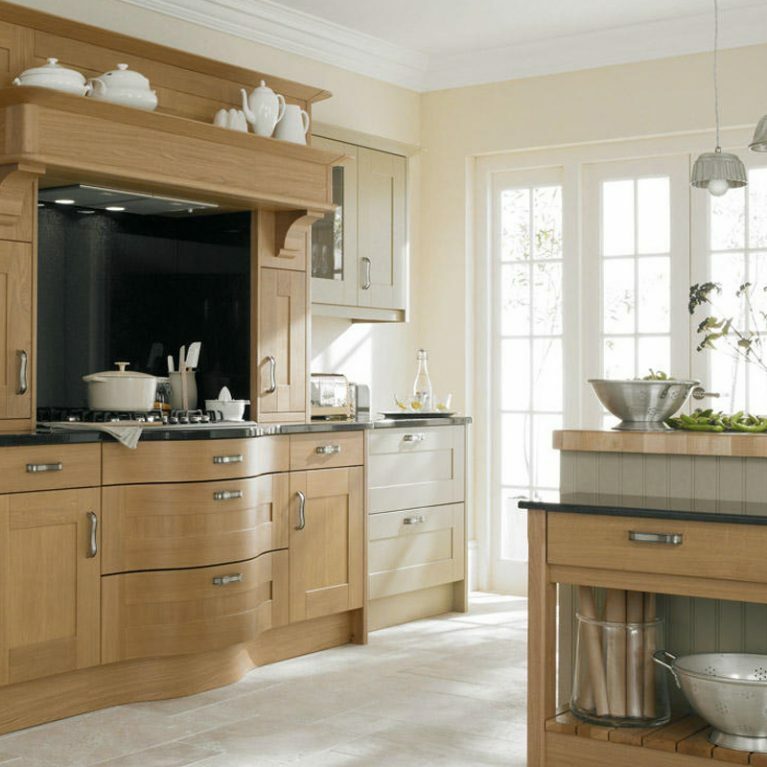 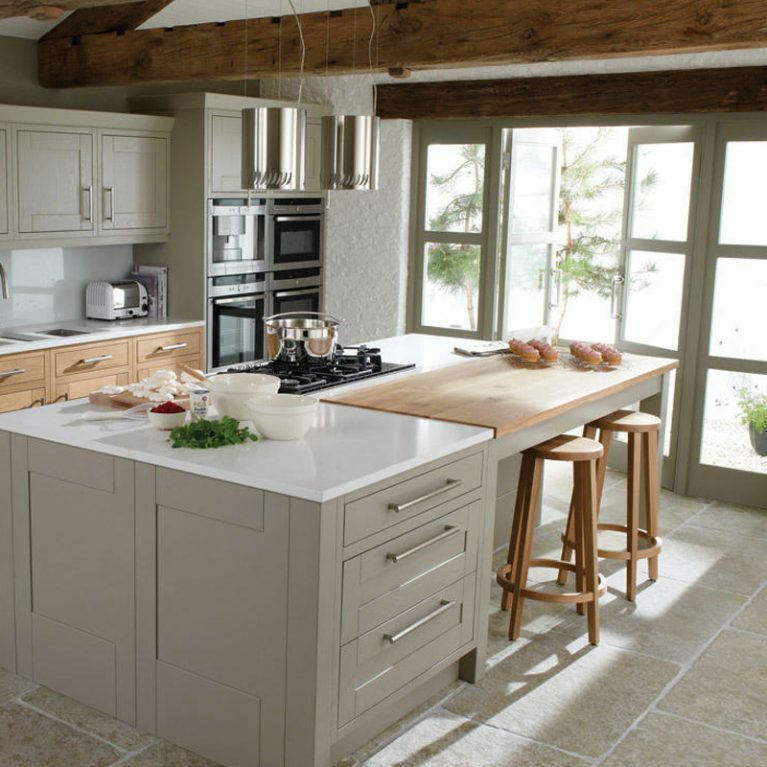 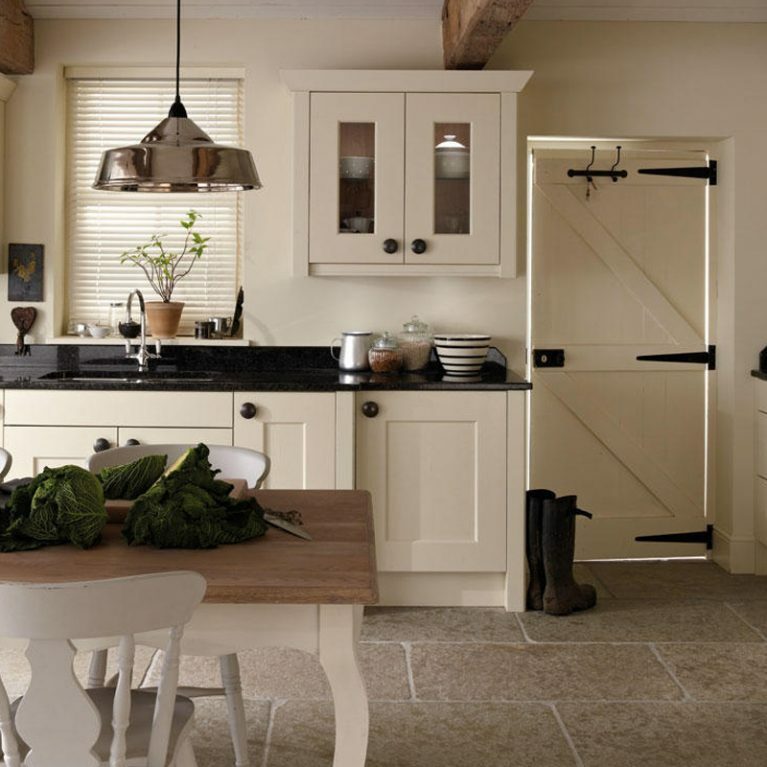 The Broadoak ticks all the right boxes for the classic shaker kitchen style. 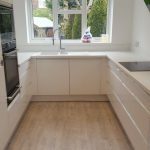 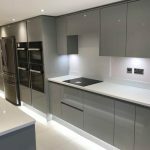 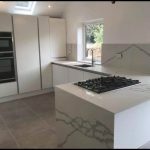 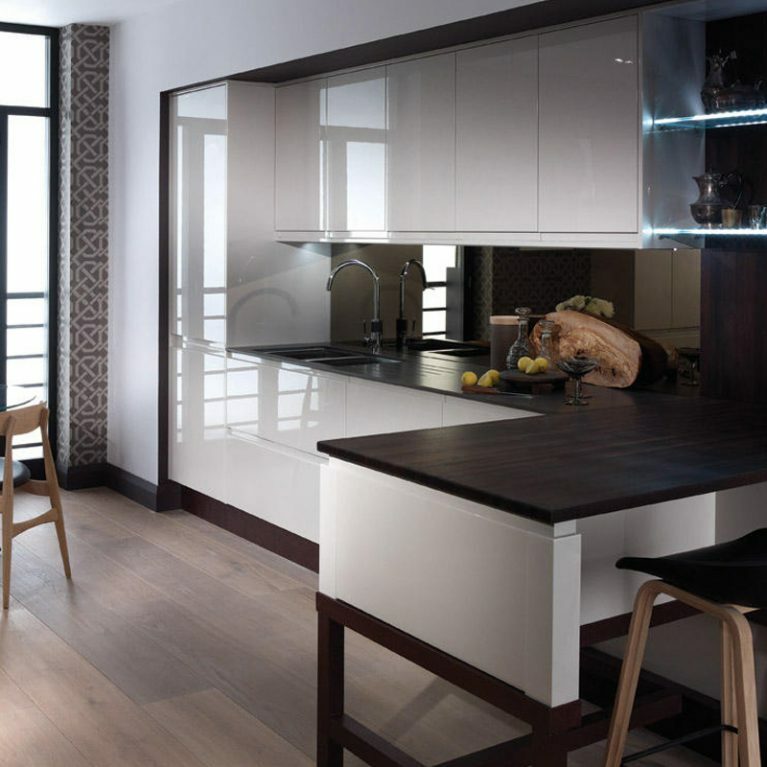 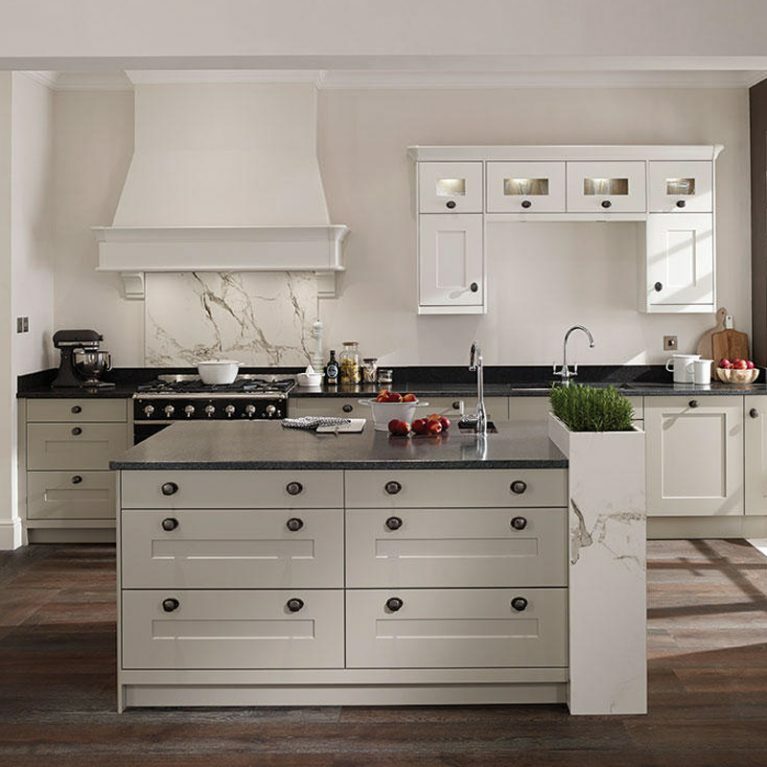 Not only is it incredibly aesthetically pleasing, offering you a gorgeous way to maximise your kitchen space, but in true shaker fashion, it offers you a phenomenal amount of storage space in a range of cool and clever ways. 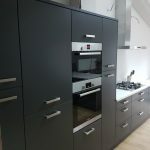 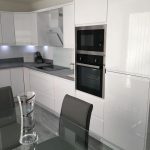 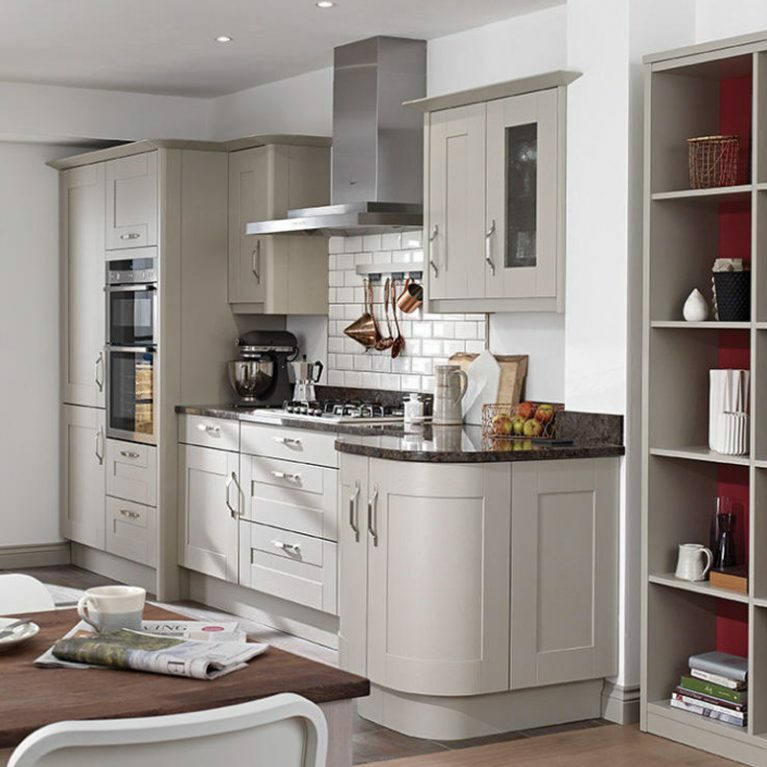 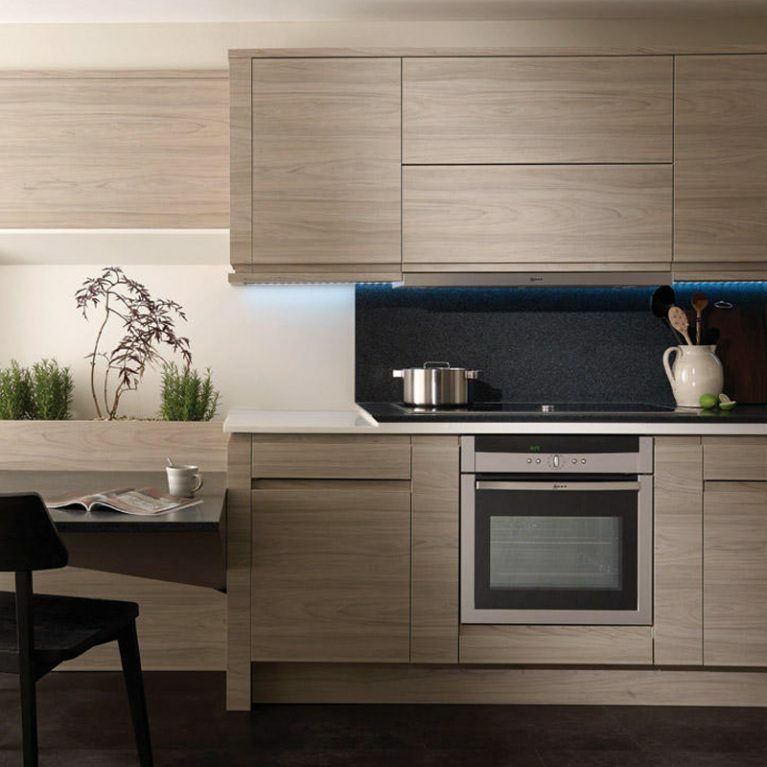 With plenty of wonderful cupboard space, each finished with a stand-out silver handle, you’ll be able to ensure that all of your kitchen accessories and goods have a place to call home, eliminating clutter and keeping your kitchen in pristine condition. 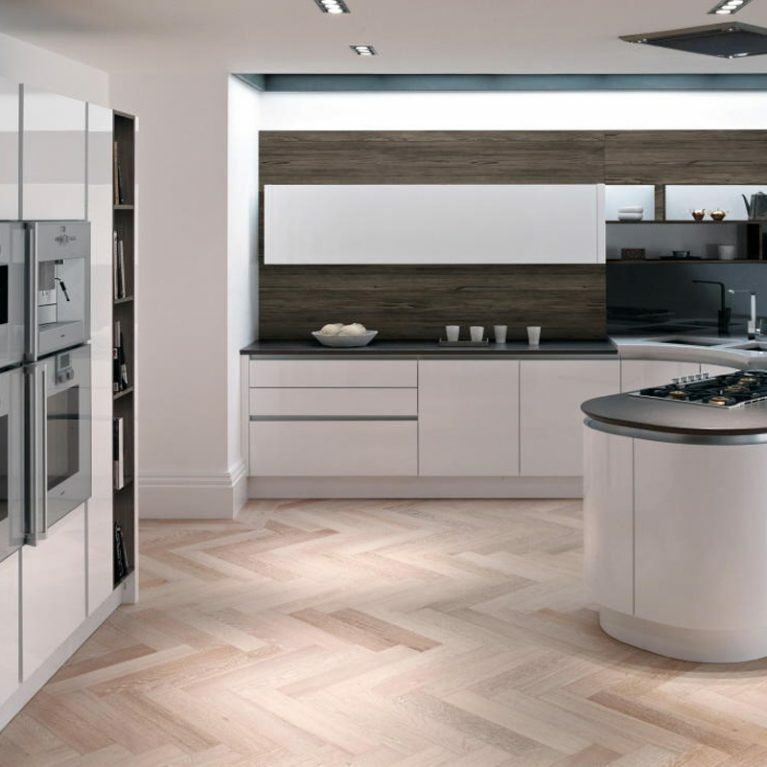 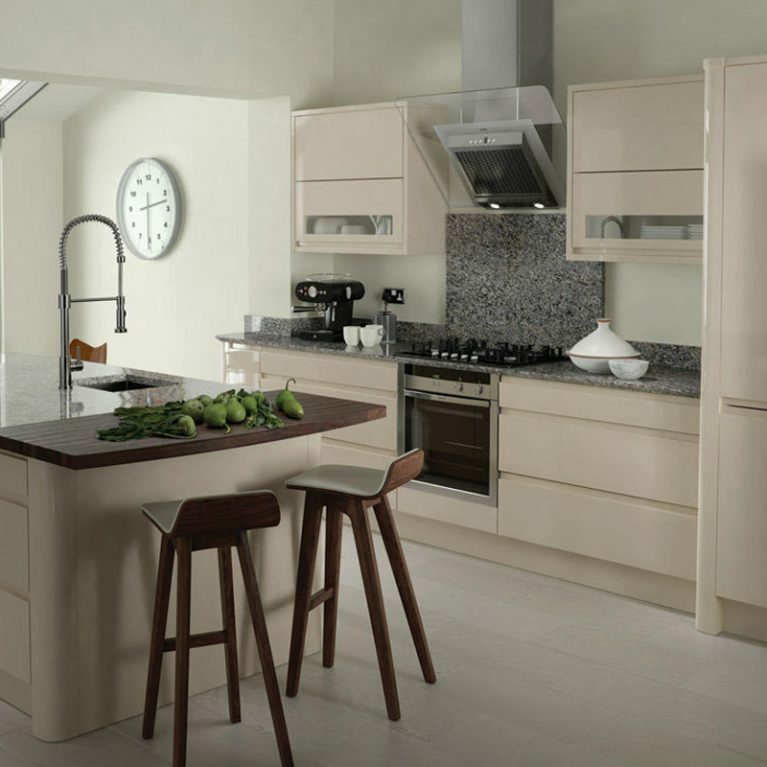 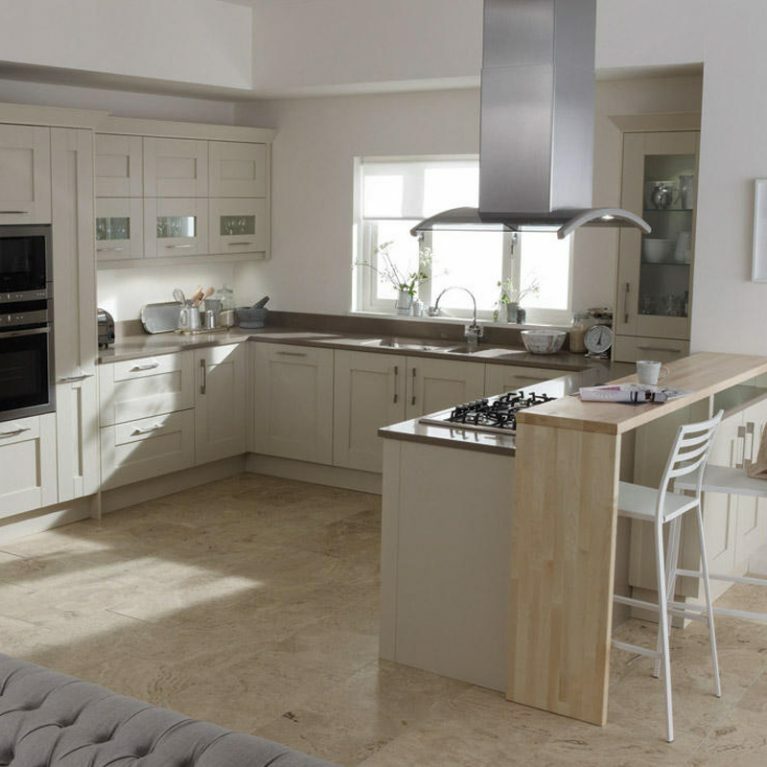 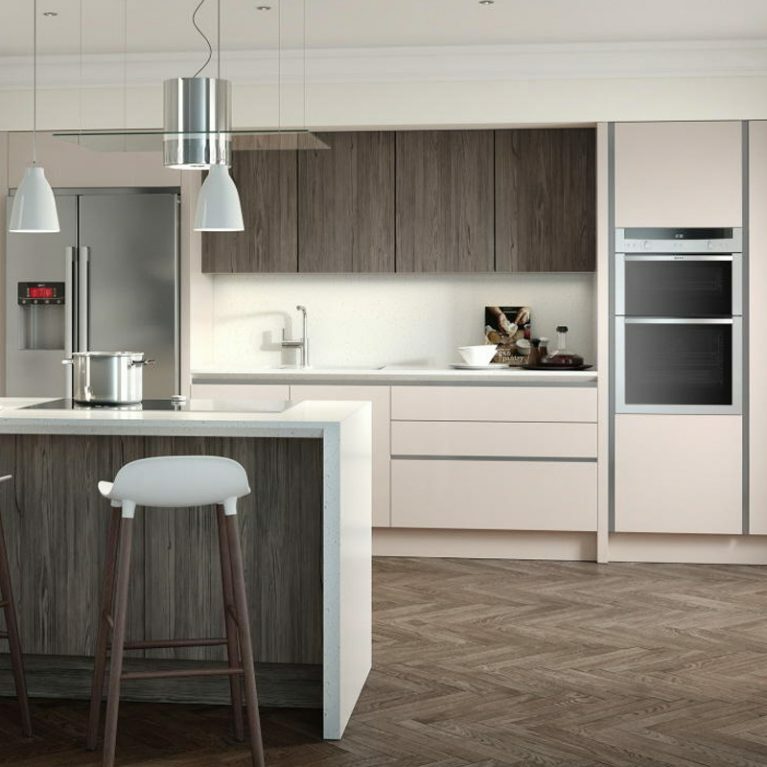 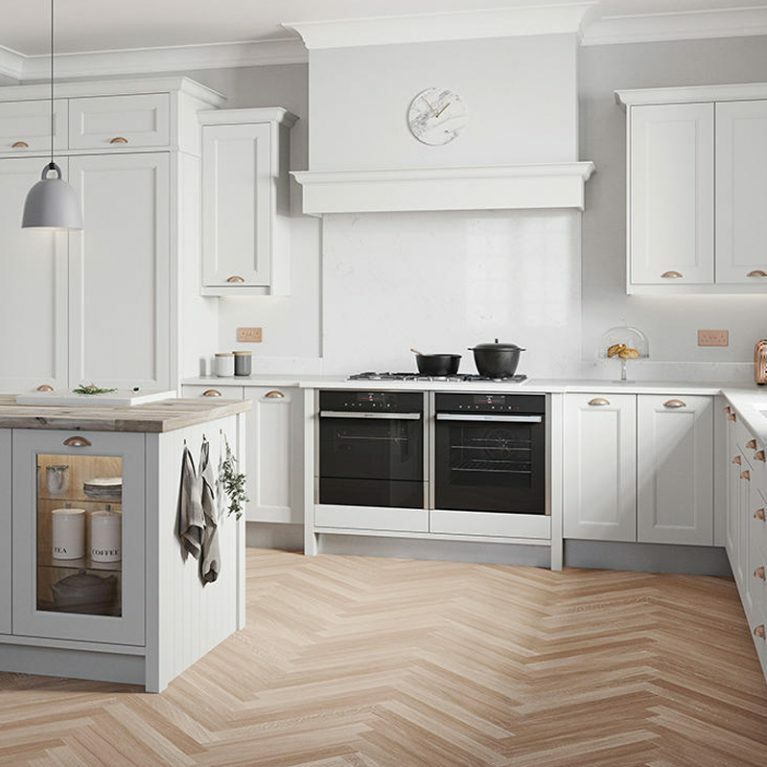 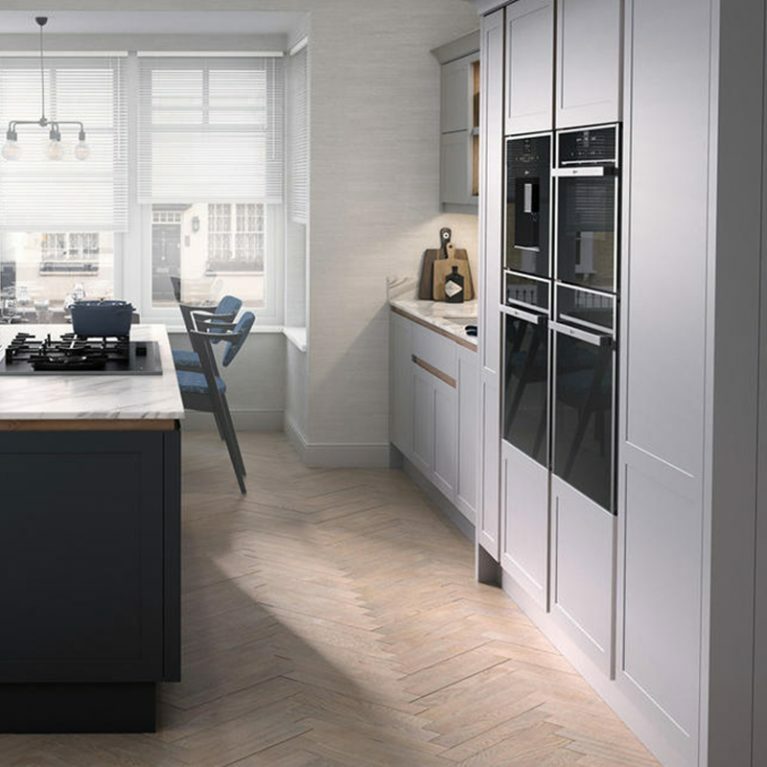 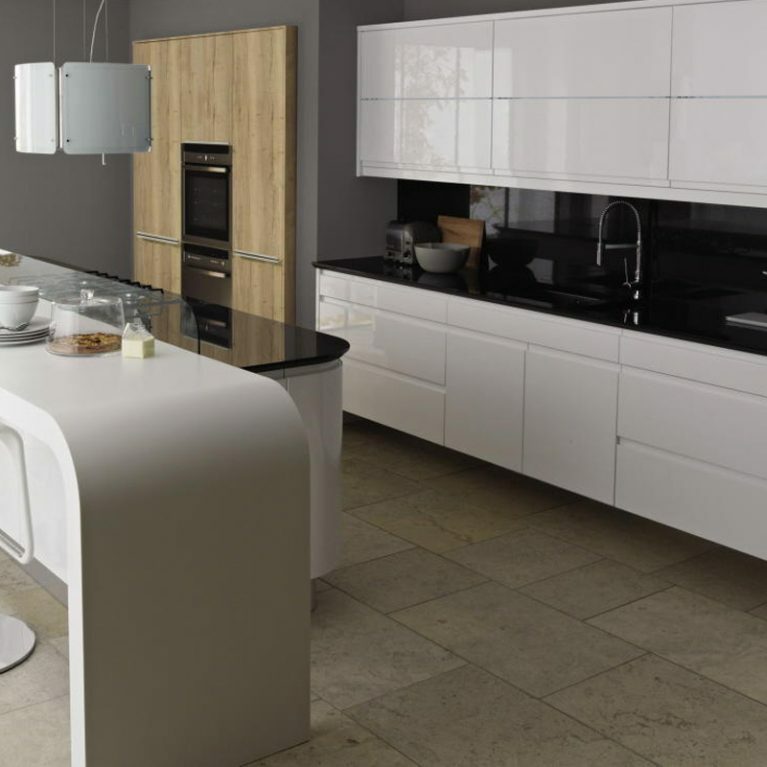 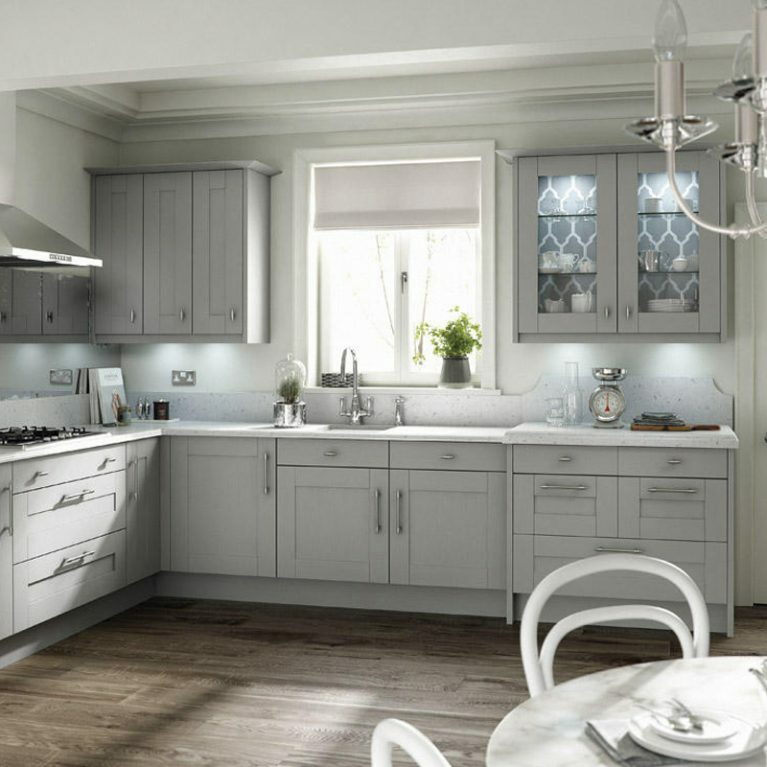 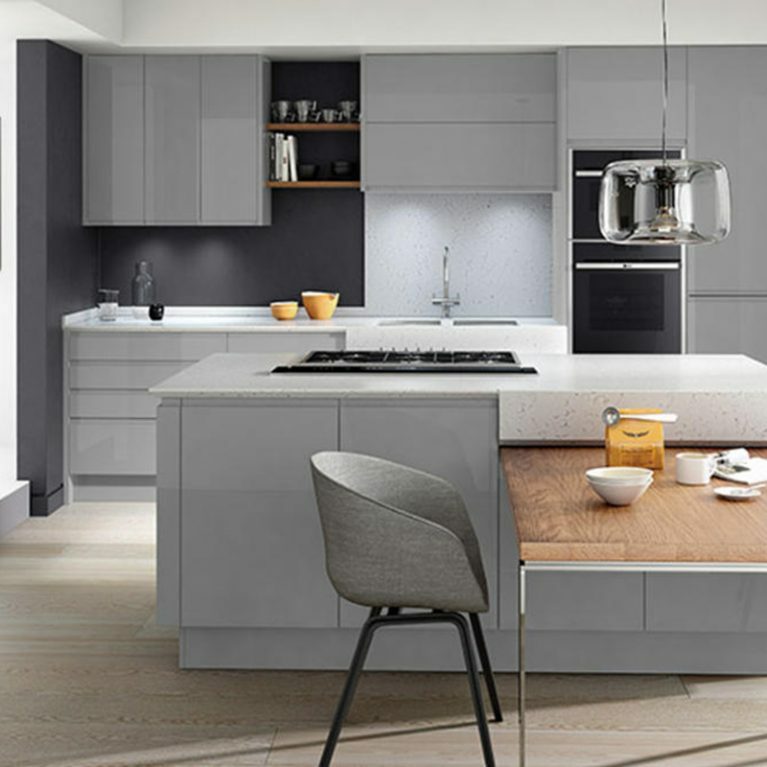 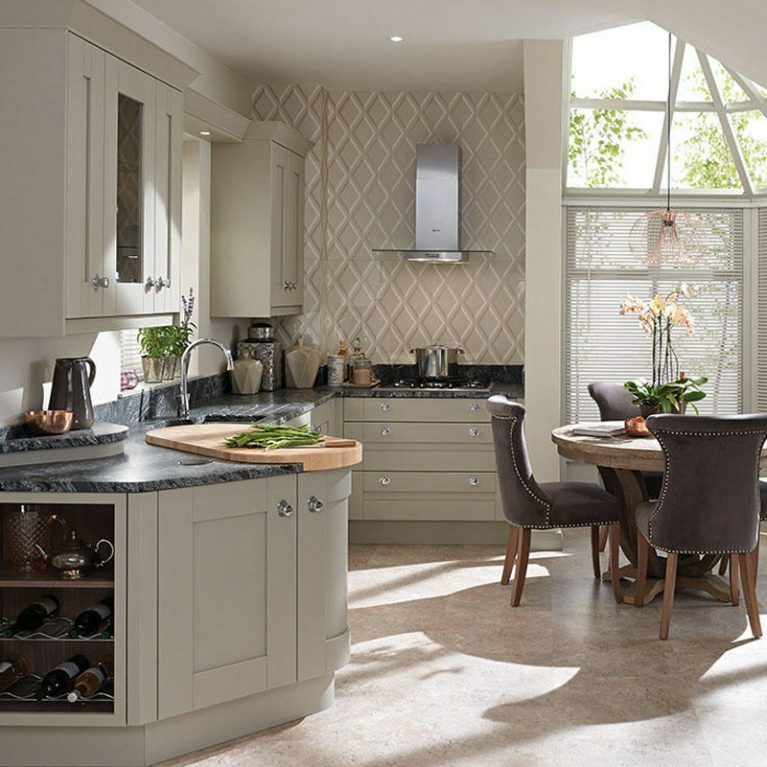 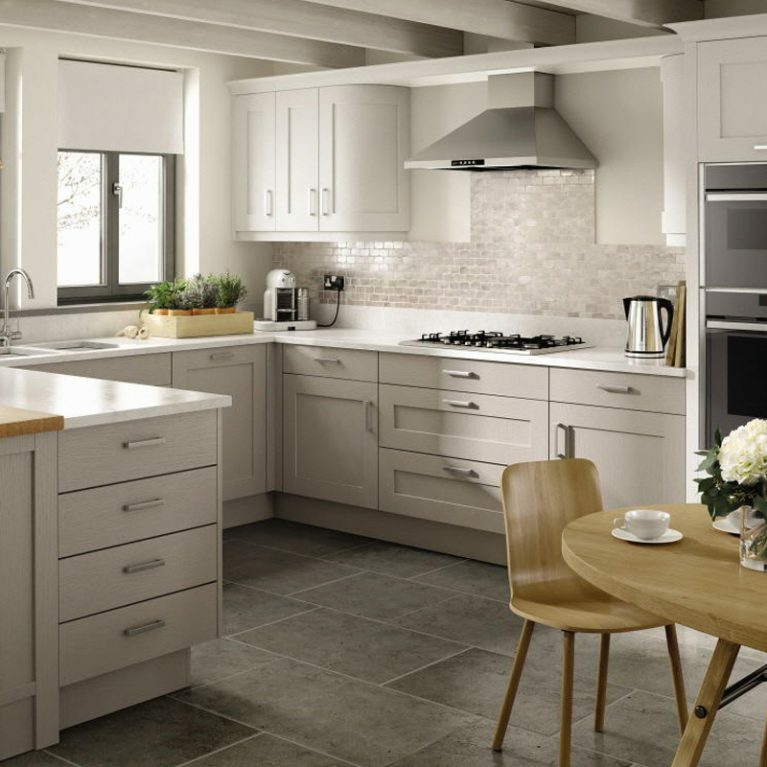 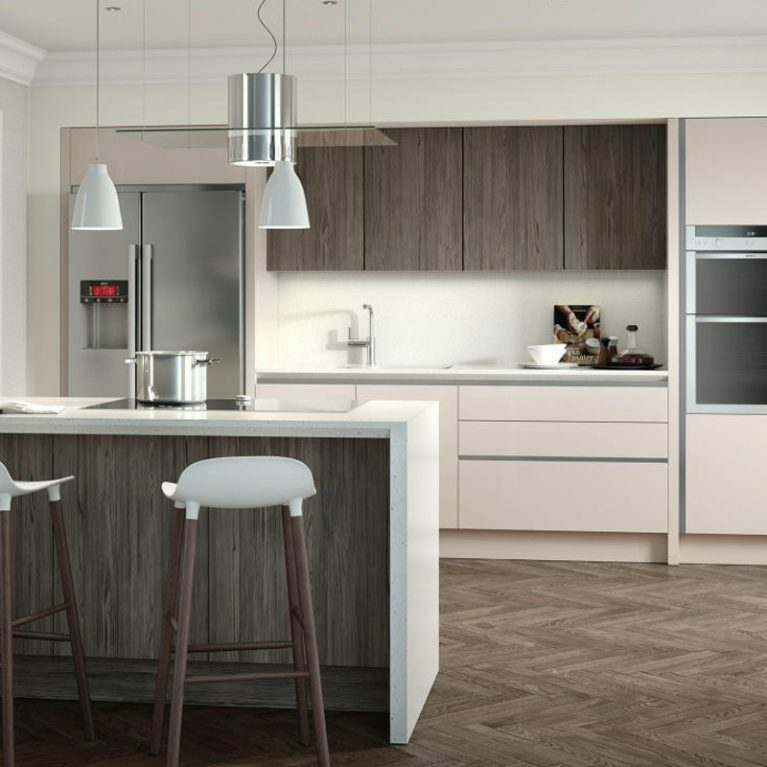 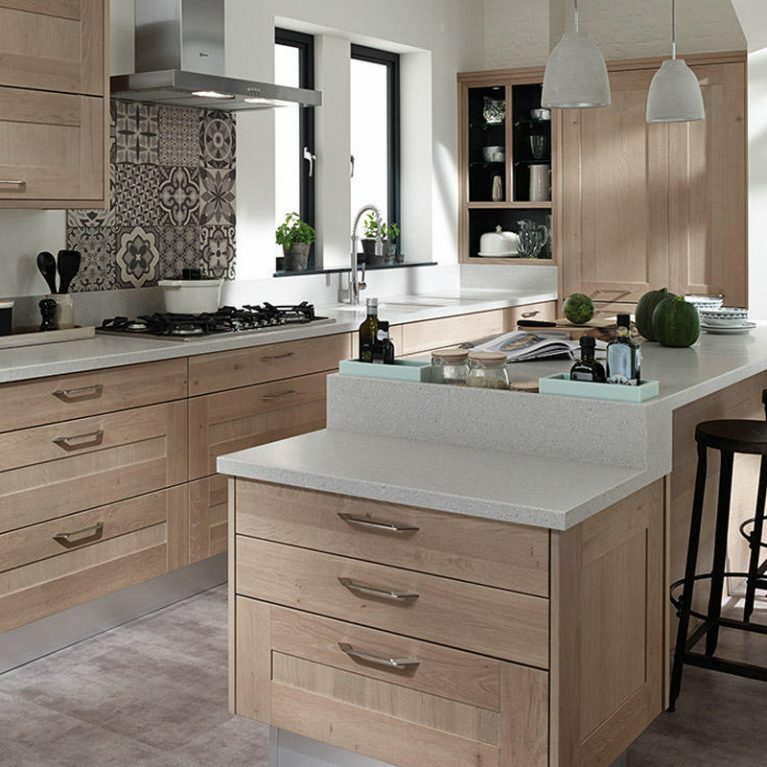 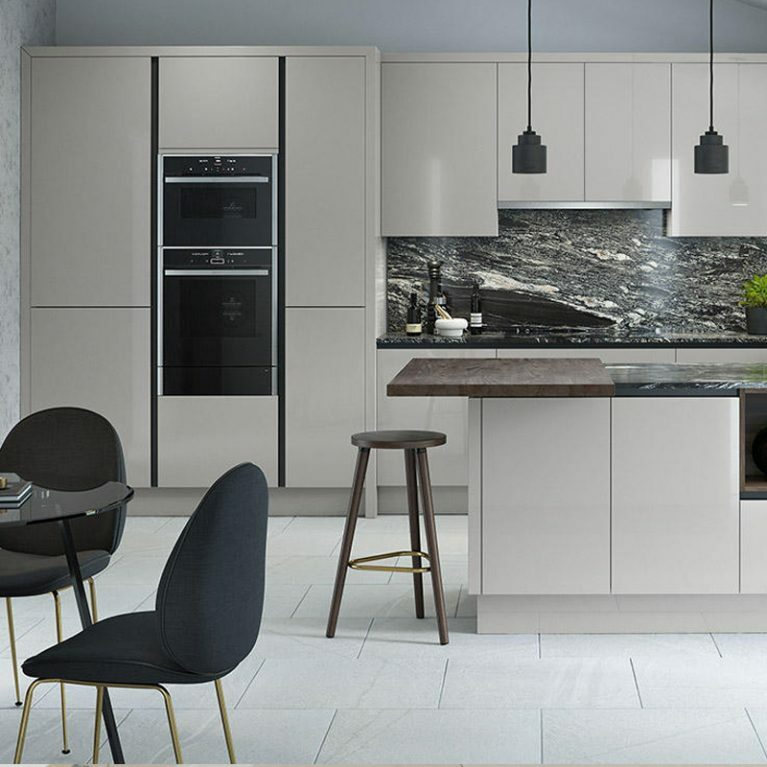 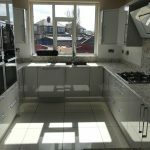 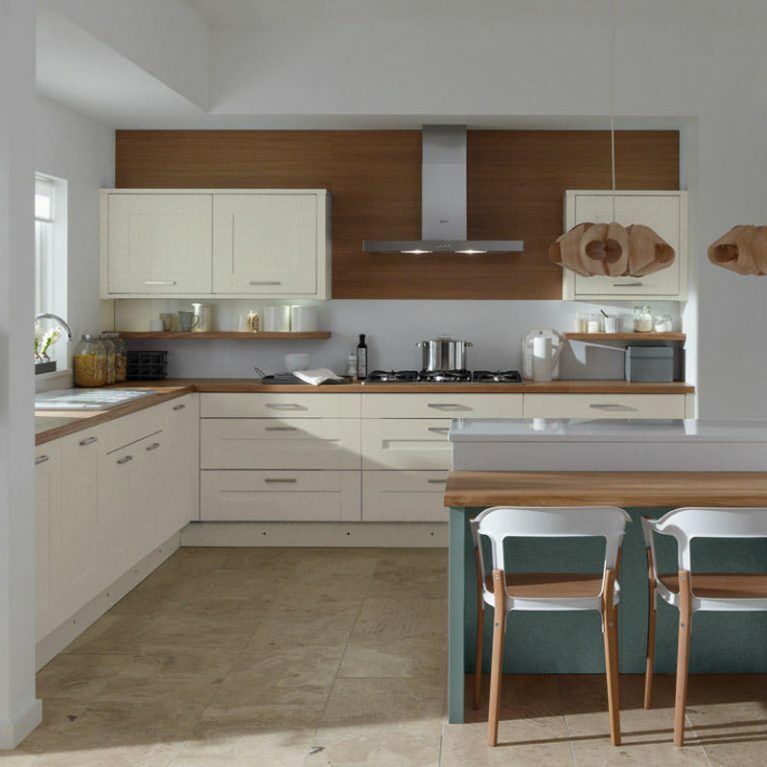 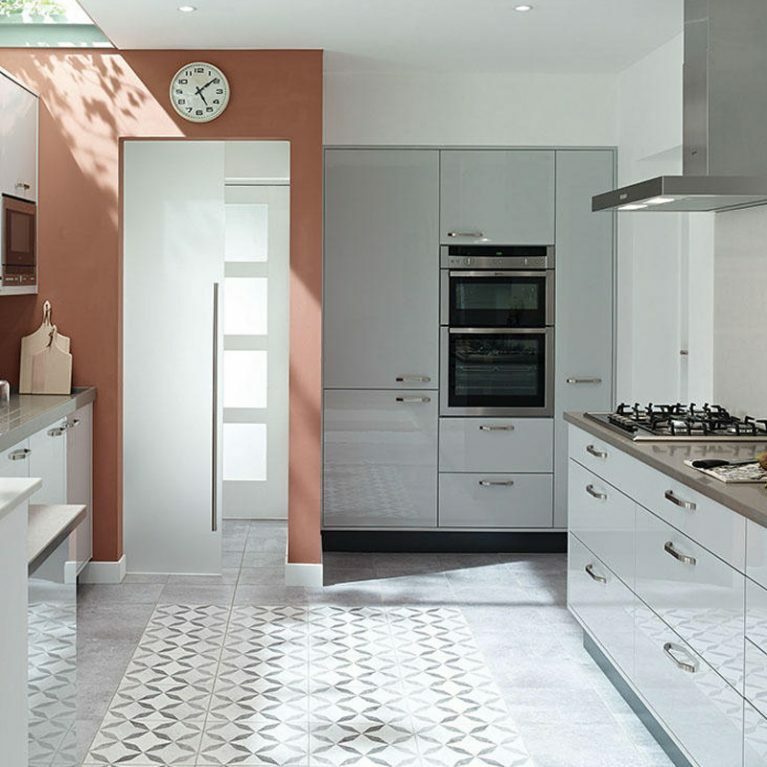 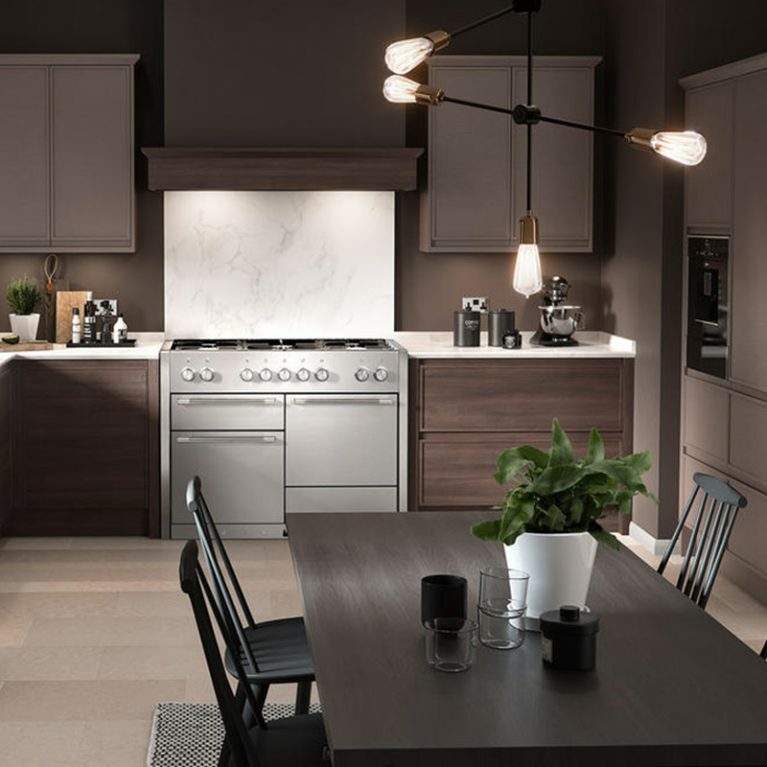 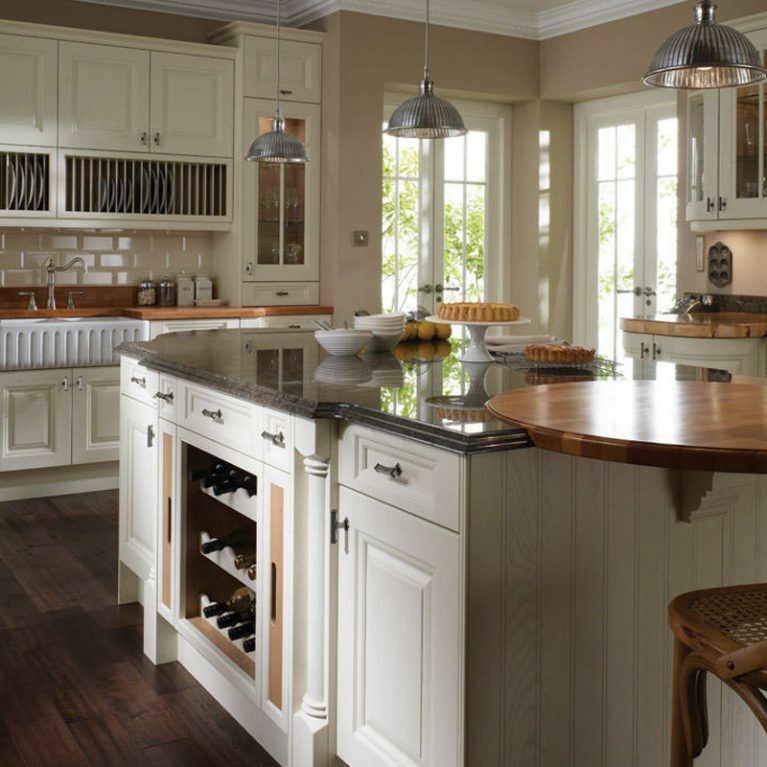 The Broadoak painted classic kitchen is the ultimate collaboration of contemporary and classic, combining to make a kitchen that will bring your dreams to life. 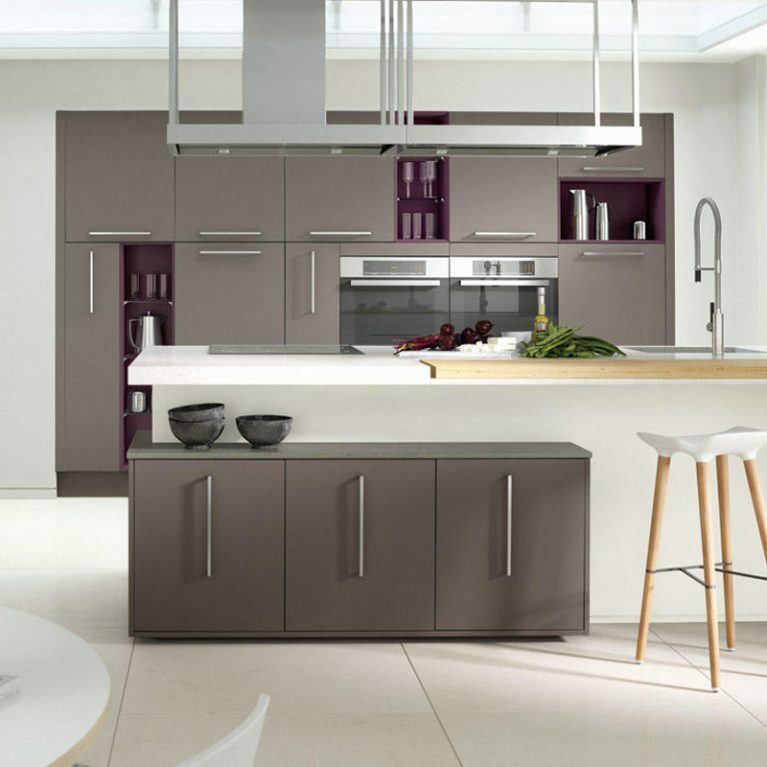 It has an incredibly clean design and smooth finish, and you can choose from 27 colours all available in a matte finish. 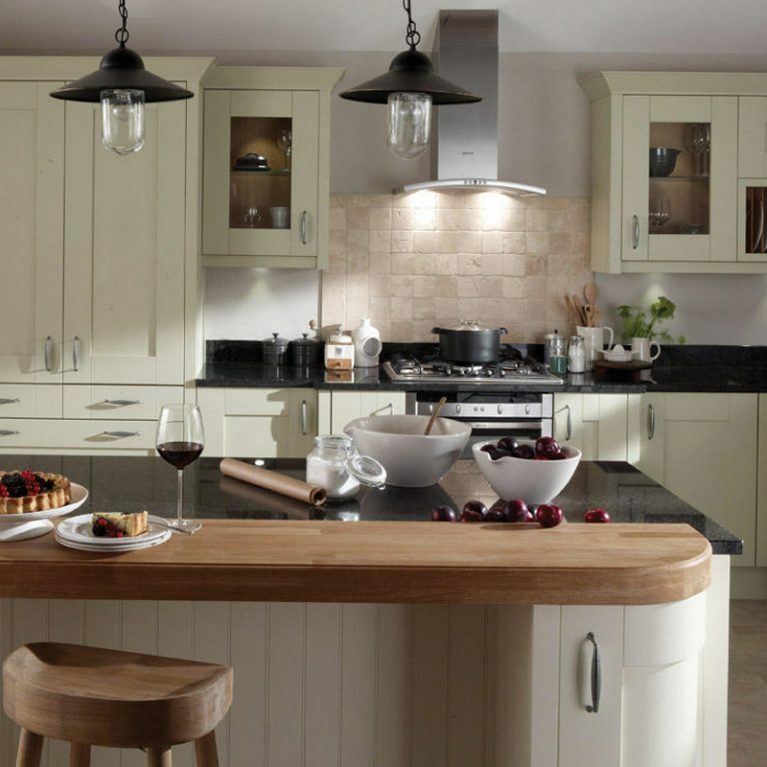 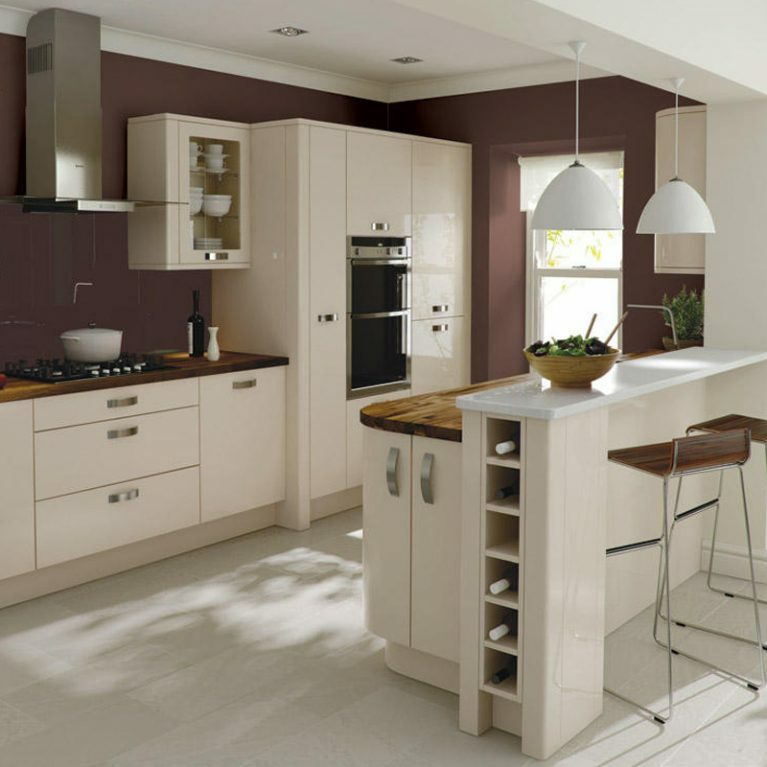 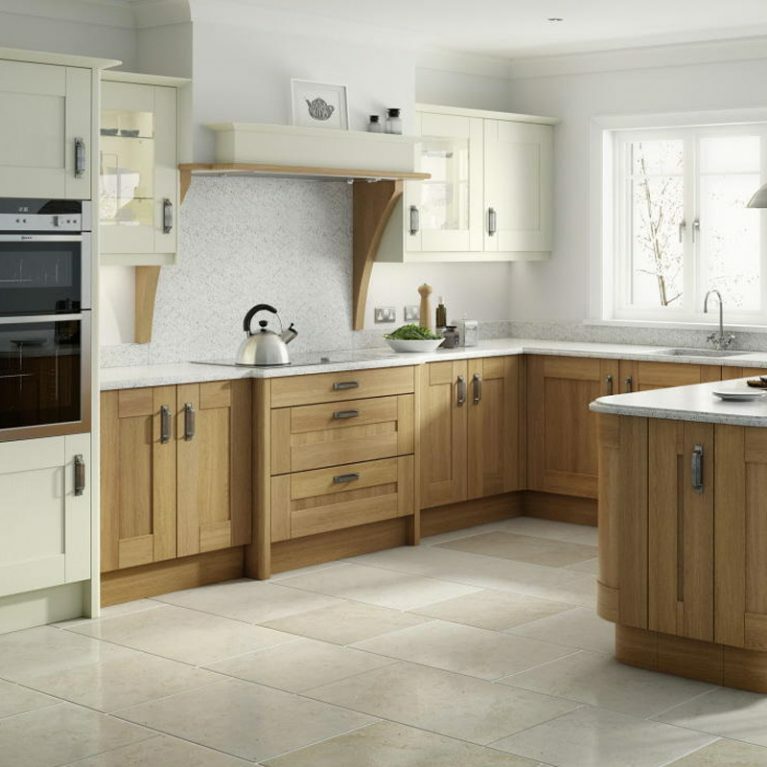 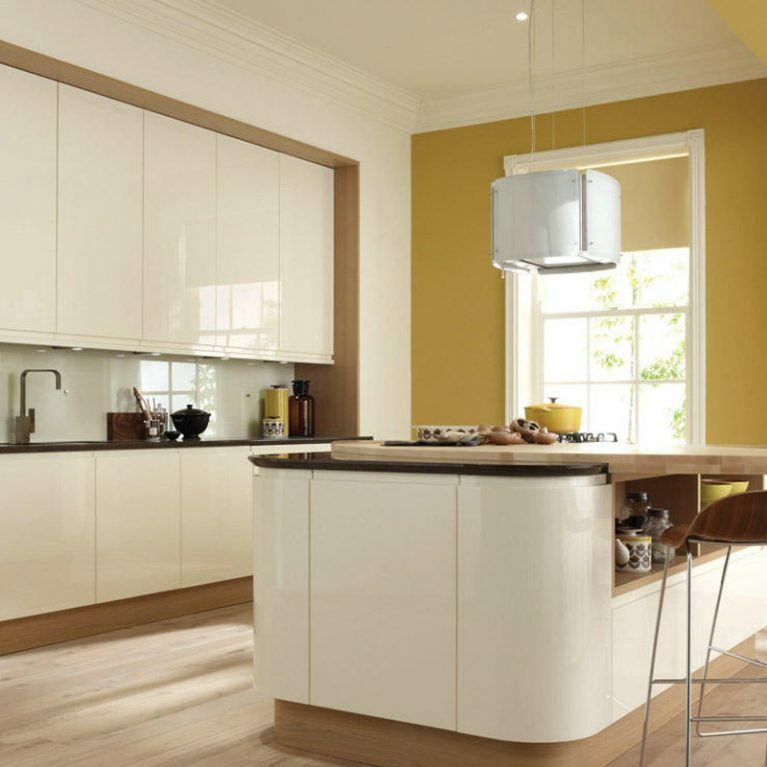 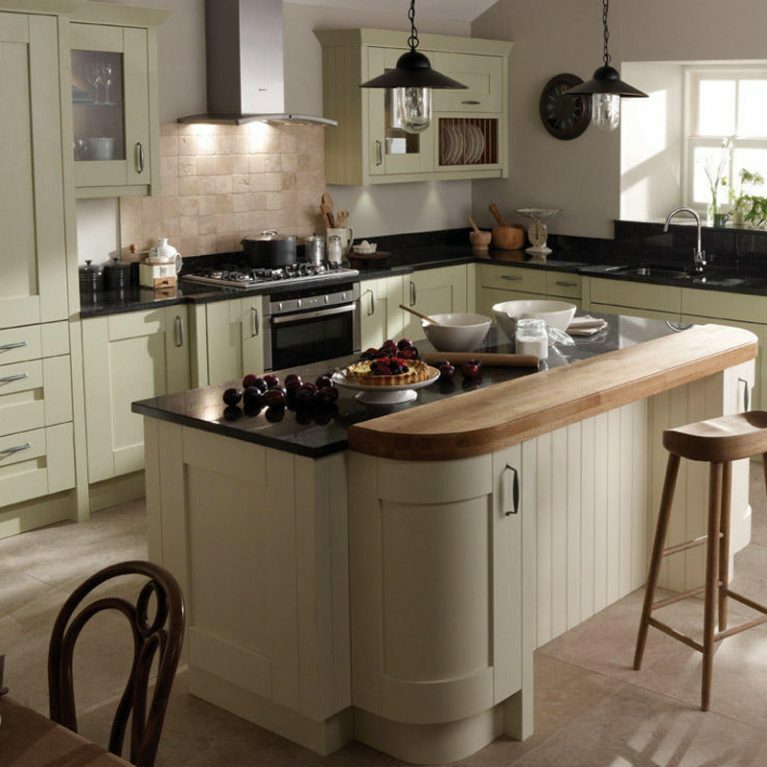 No matter what your personal tastes or preferences are, you’re sure to find the perfect colour that can bring your Broadoak painted classic kitchen to life in style. 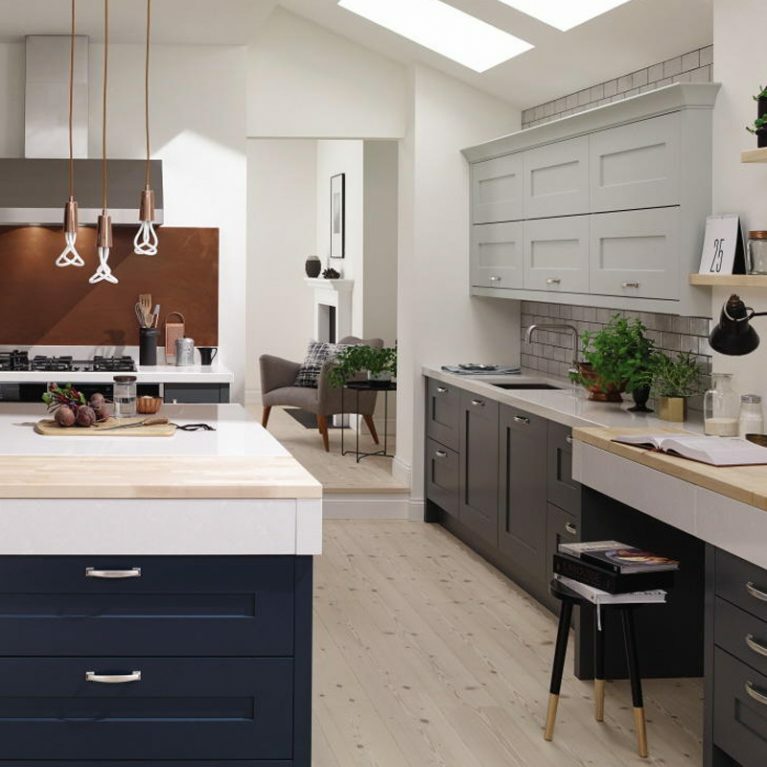 Real wood lends a little extra freedom to your design ideas, and your colour palette is sure to finish your kitchen off in style. 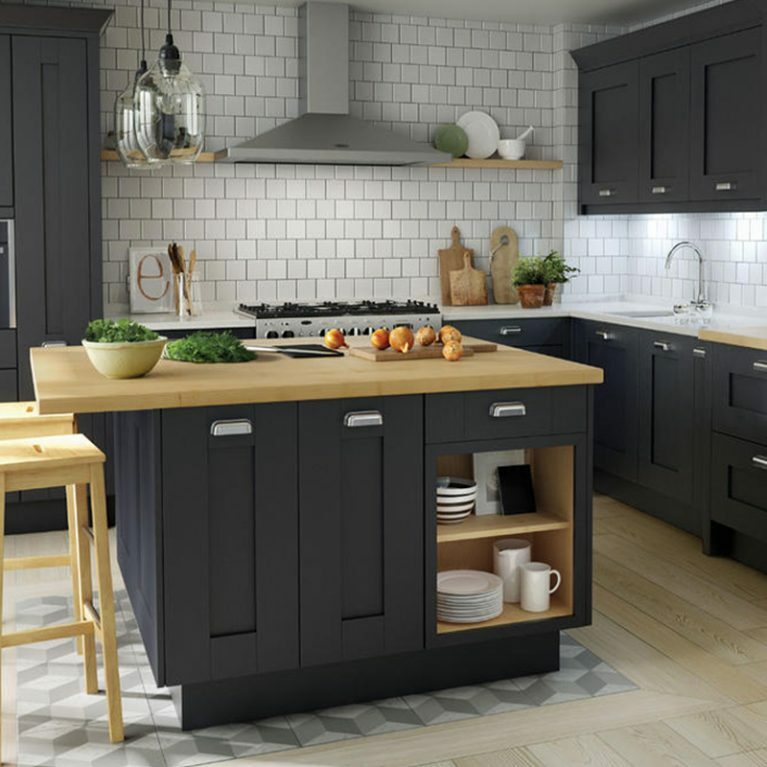 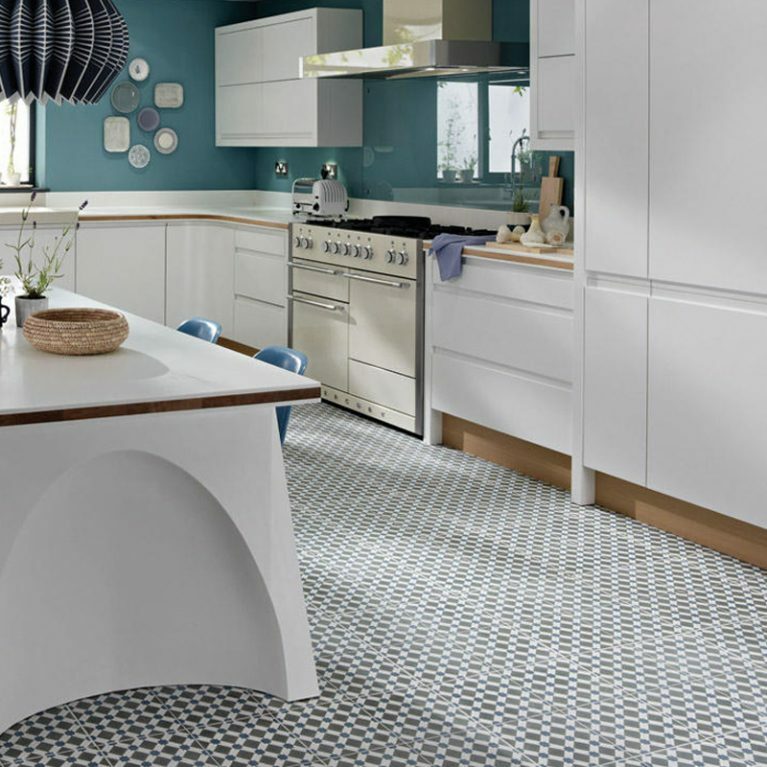 The textured appearance of your Broadoak Painted classic kitchen is accentuated by the gorgeous island feature, creating a pinnacle point for your new kitchen. 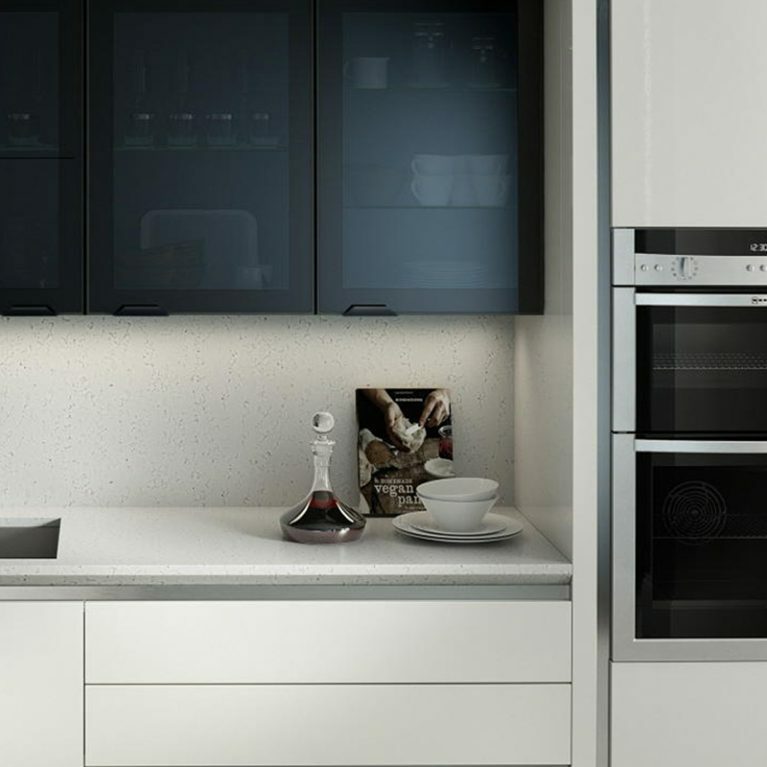 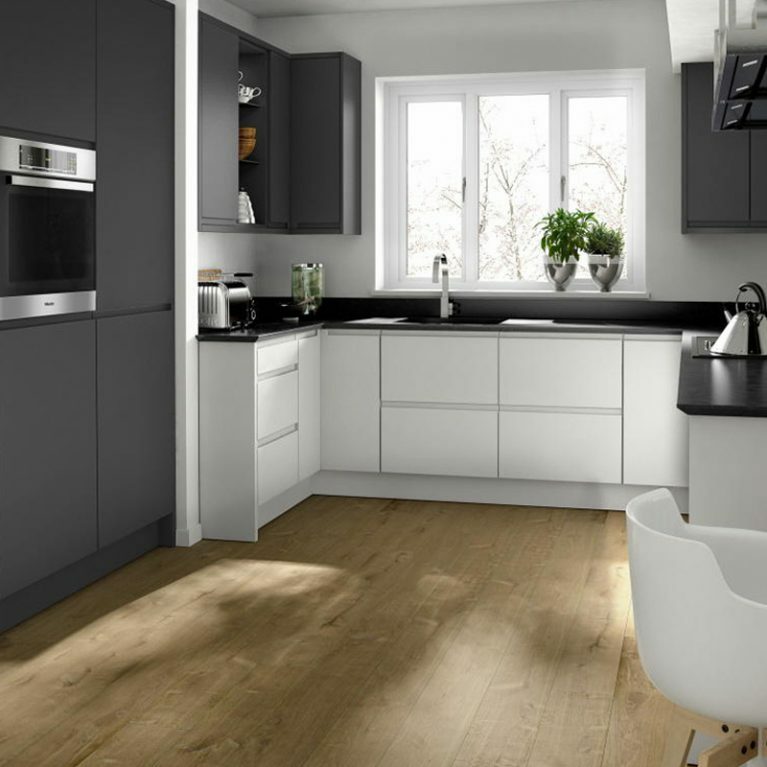 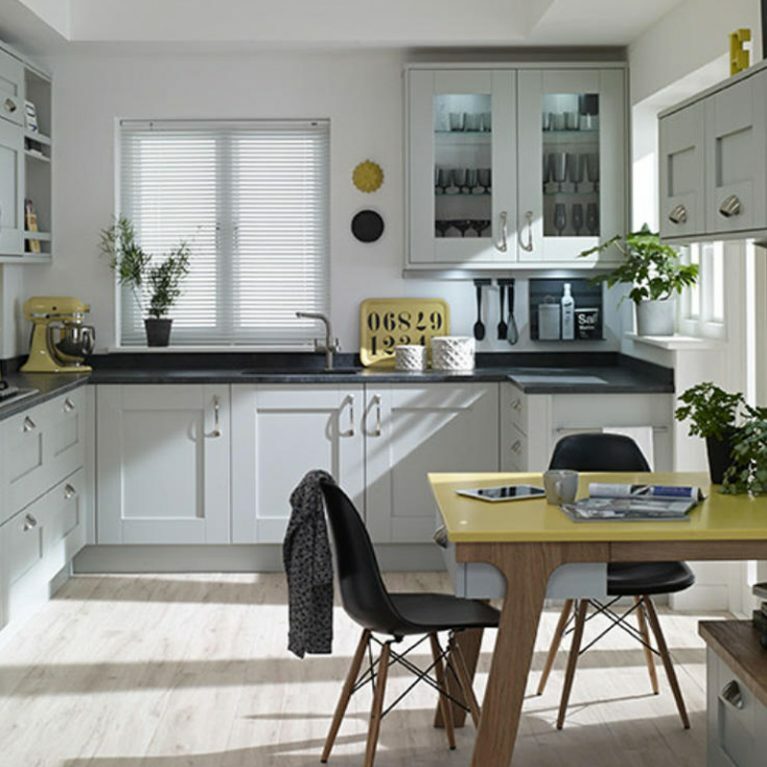 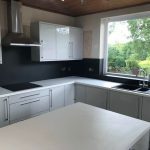 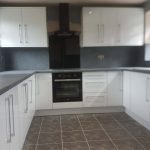 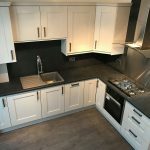 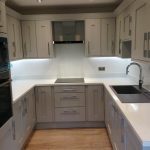 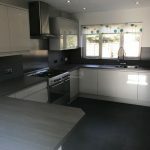 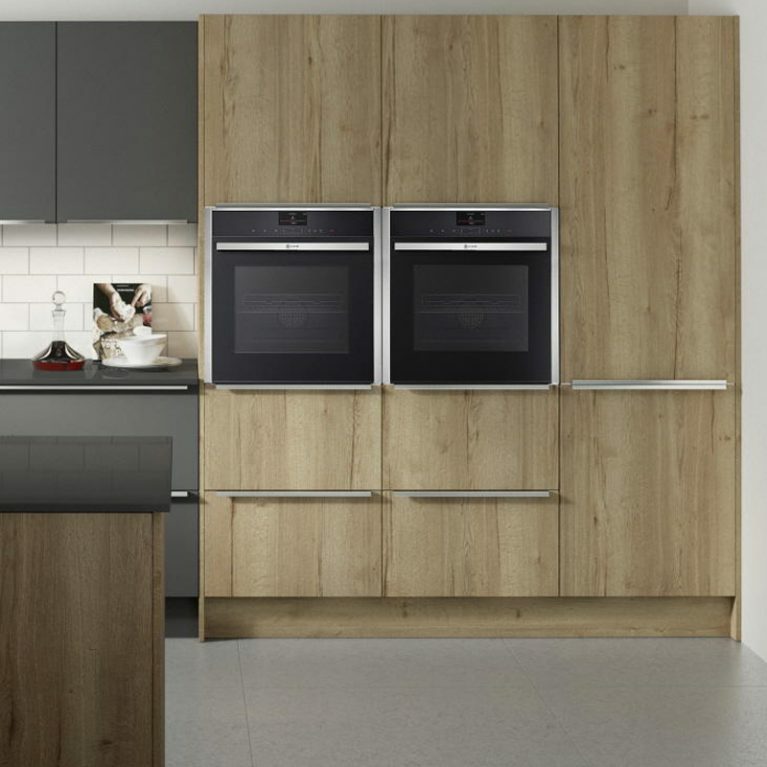 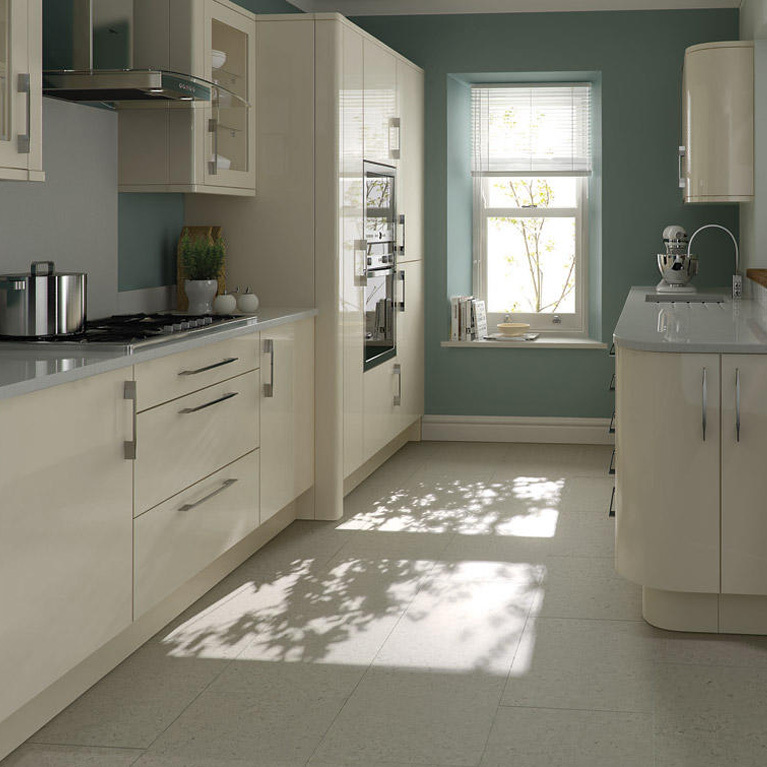 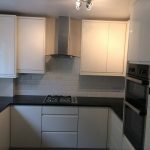 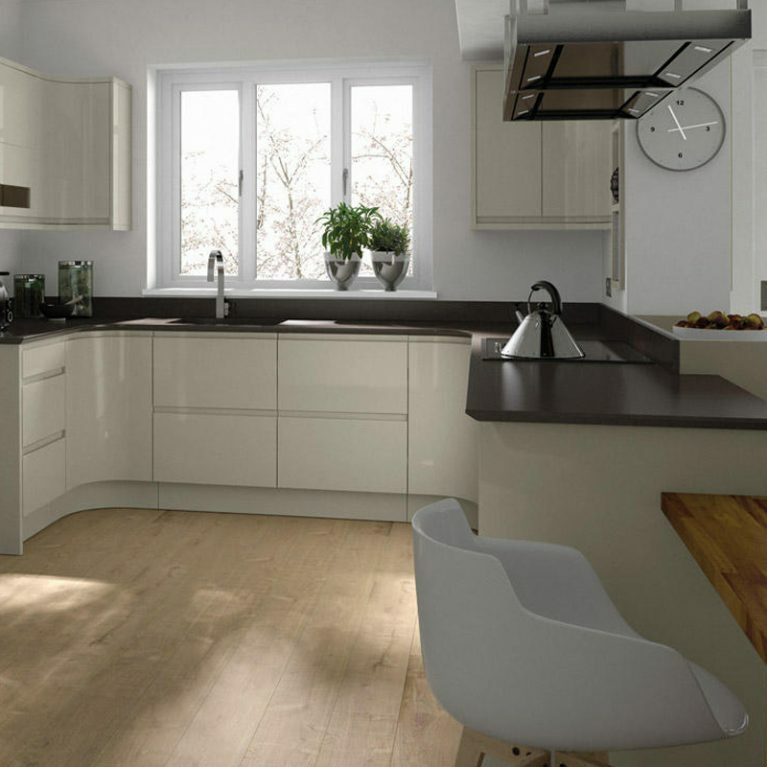 The Broadoak Painted classic kitchen is finished with a super cool and sleek kitchen surface, which is available for you to pick which colour and finish you’d like. 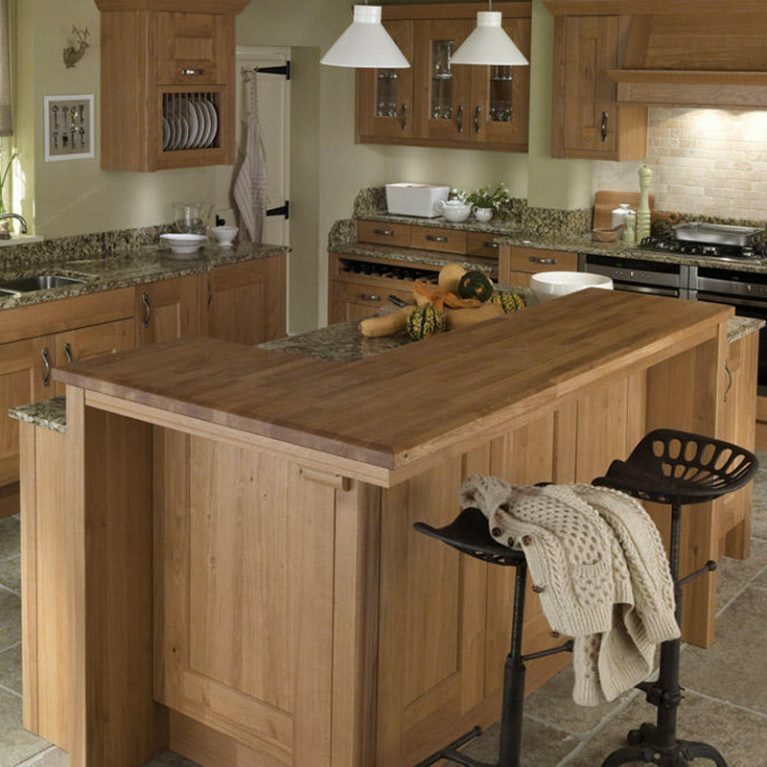 Finished with a sunken sink area and snazzy silver faucet, your Broadoak kitchen will truly delight. 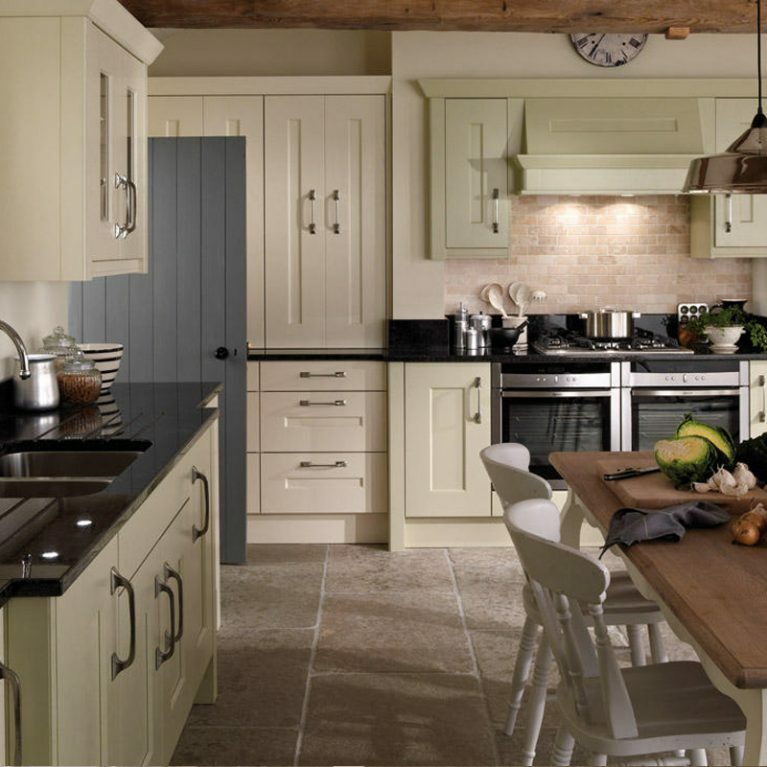 Every inch as practical as it is beautiful, you’ll be hard pressed to find a kitchen which meets your needs quite like the Broadoak Painted.